You want Fulgore? here you go! Read it and watch the video, From the silhouette he looks good. Hopefully he ends up that way. Kinda bummed its not going to be till march though. 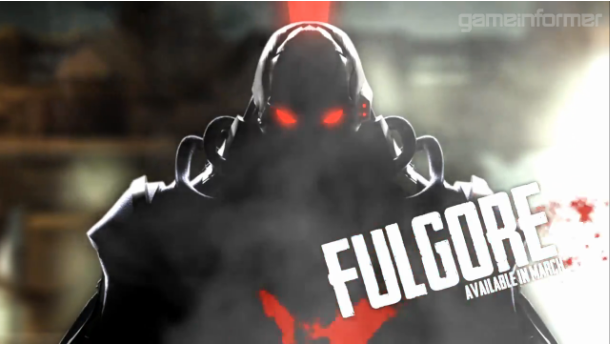 Re: You want Fulgore? here you go! Puddle Punch sounds like a Lv. 5 Squirtle move! apparently the stream today is 2 hours long, not sure if its starting early or running late (ill miss the second hour if they run it late) but hopefully there will be more goodies. He is wonderful! I'm just giving lack of ponytail that was in previous versions. But kept the other details. Enjoyed! Thanks for the trailer ! One of the beast teaser i've seen, the announcer shouts so loudly it's awesome. Killer Instinct is back full force. He still has the ponytail, it's coming out of the top of his head. Like Fulgore and Spinal from what I've seen. Not impressed by the rest of the charactes but oh well at least this game is back. Yep ! A lazer ponytail ! Guys, lets not forget the 3 dots from the PIN case...what the hell could they mean? obviously they aren't shown in that picture and just 3 lights on the back of his boots couldn't just be it. Most exciting...the plot continues. This video also reminds me a lot of the energy that the KI2 intro video had. It was just amazing. This definitely brings me back. I thought they said it was the Ultratech logo in the stream. Still can't wait to see the teaser with him!